This event is targeted towards business startups and growing small businesses. 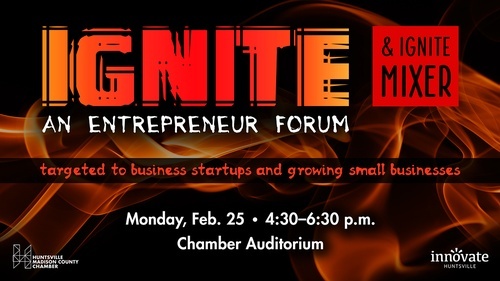 The forum will bring together local entrepreneurs and organizations dedicated to supporting the entrepreneurial ecosystem, offering insight on starting and growing small businesses. You'll have the opportunity to network with local, successful small business owners in a laid back atmosphere. Hors d'oeuvres, drinks and plenty networking will be provided. See you there! Kayla Adams is the Owner and Personal Stylist of Elitaire Boutique in Downtown Huntsville. She graduated from Jacksonville State University with a degree in Marketing and Fashion Merchandising from Jacksonville State University. Before moving to Huntsville, Kayla worked for Women's Wear Daily, a global fashion trade publication where she was a Junior Editor. Kayla eventually left Atlanta and moved to Huntsville to manage and market a not-for-profit healthcare company. 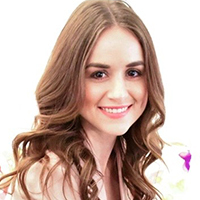 During this time Kayla managed multiple locations for 7 years before deciding to fulfill her lifelong dream of opening a boutique. Elitaire Boutique is located on Clinton Avenue and serves to "perfect the art of timeless fashion for today's modern woman." Kayla lives in Huntsville with her husband Jonathan, German Shepherd Emmy, and cat Harper. As a seven-year old girl, Rachel Brown started working daily alongside her father, Richard Brown whose highly successful and well respected construction company developed new communities and built hundreds of homes for growing families in Northern Alabama. 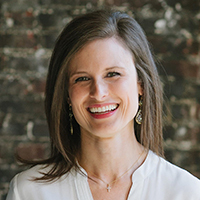 After being exposed to the building trade all her formative years, Rachel attended Auburn University, and after graduation, took on leadership of the business to continue the family tradition of building homes with a purpose. 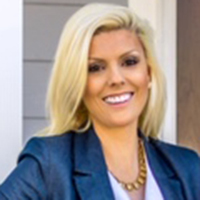 With over 14 years in business, Rachel continues to successfully build both well-crafted homes and relationships with her customers. In 2012, The Better Business Bureau of North Alabama recognized Rachel Brown for the organization’s commitment to honesty and value with its Torch Award for Marketplace Ethics. Meggan Crunkleton is the Founder and Creative Director of Roosevelt & Co., a specialty men’s store in downtown Huntsville. She graduated from Mississippi State University with a business degree and then went on to obtain a Master of Science in Health Administration and Master of Business Administration from The University of Alabama at Birmingham. Upon finishing her residency at Shands UF, Crunkleton took a planning position with Huntsville Hospital. During her 10-year tenure with the hospital, she held various roles such as the Activation Coordinator for Madison Hospital and the Strategic Planning Director for the health system. After a lot of consideration, she and her husband Wesley, felt it was the right time to take a leap of faith and begin a new venture opening Roosevelt & Co., which they felt would meet an existing need in the community. Roosevelt & Co. is dedicated to providing a full service boutique that celebrates all things men from fashion to household goods and grooming. Mark Becnel is President of RadioBro. Leading the team, he manages the corporation and product logistics. He ensures products are assembled, tested, and delivered on-time and to the highest quality. Becnel has a Bachelors of Science in Physics from the University of New Orleans. He has completed a Masters of Science in Aerospace Engineering at the University of Alabama in Huntsville focusing on Advanced Propulsion. At UAH, he was a leader of the Space Hardware Club and ChargerSat 1 program, and also was involved in the machining, testing, and cleanroom operations of ChargerSat 1, a 1U CubeSat now in orbit. Becnel's industry participation includes hand-in-hand with Pre-Phase A development of propellant-less propulsion satellite test-beds at Marshall Space Flight Center, as well as electrostatic thruster design work at MSFC. He actively participates in industry conferences.